‘Yo Santa….If you haven’t noticed, I’ve been working really hard at my career, my blog, writing, freelancing? ?… so maybe you could slip a little something nice under the tree? If red souls or Jimmy Choos are out of your price range I’d settle for cashmere anything? Or a Rudsak jacket with fur? Just sayin’. Last week I was on set with the talented and lovely Danielle Bourjeaurd styling her new Christmas video ‘Hey There Santa’, in addition to working I also got to strut my stuff alongside Miss Bourjeaurd in the video – it was a blast being behind the camera, which you will see when you watch it! So this weekend I’m getting in the Holiday spirit, I’m going to throw on my new favorite Christmas jingle, dance my as* off around the house decorating in shades of cream and gold and sip eggnog avec rum….. Cheers to getting in the holiday spirit, and a little tipsy! 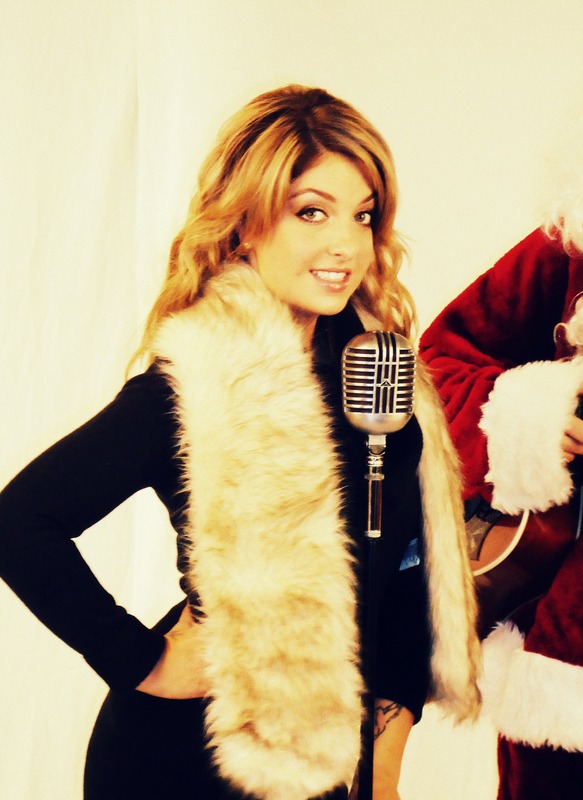 Check out the video and download the song at www.daniellebourjeaud.com, a dollar from each purchase goes to the Salvation Army – spread some holiday cheer peeps! Happy (dance your as* off decorating around the house) Weekend! Something tells me you used H&M for for the hats and tights? true.